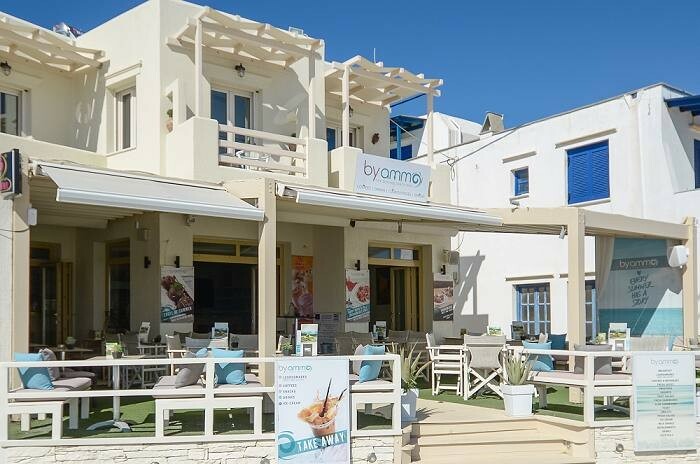 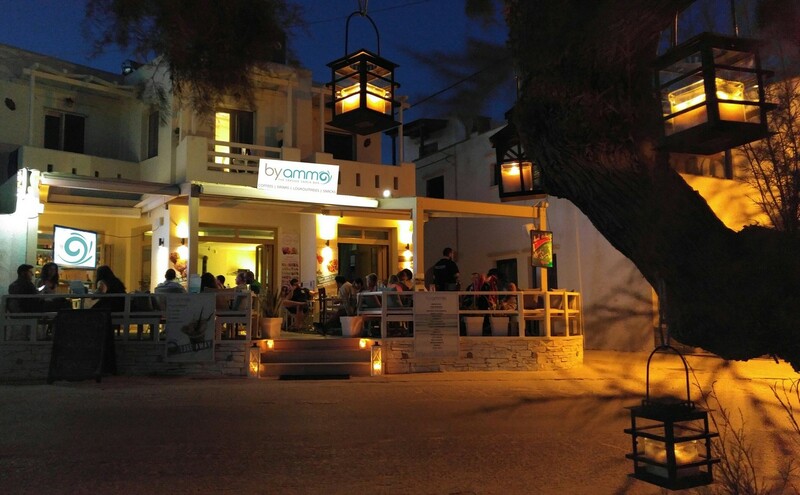 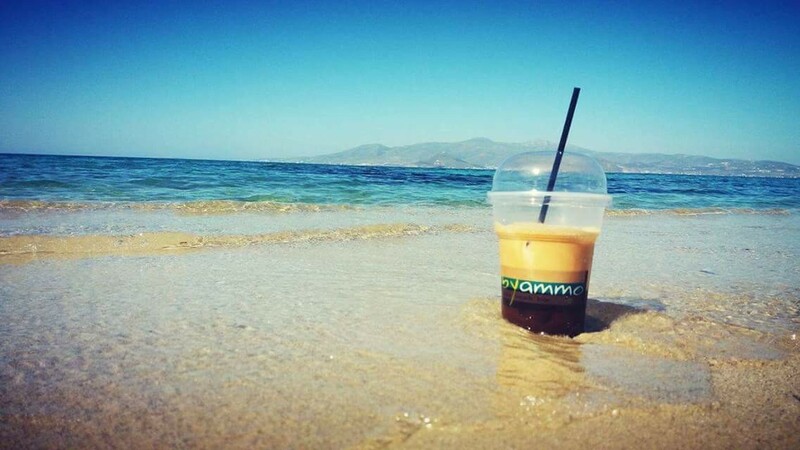 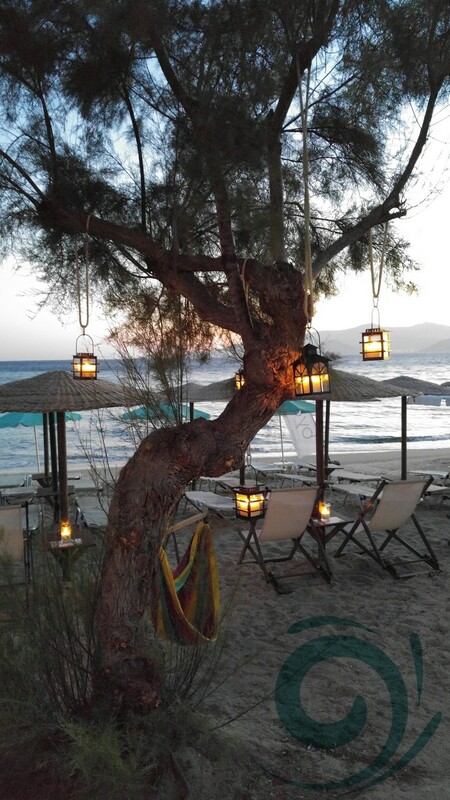 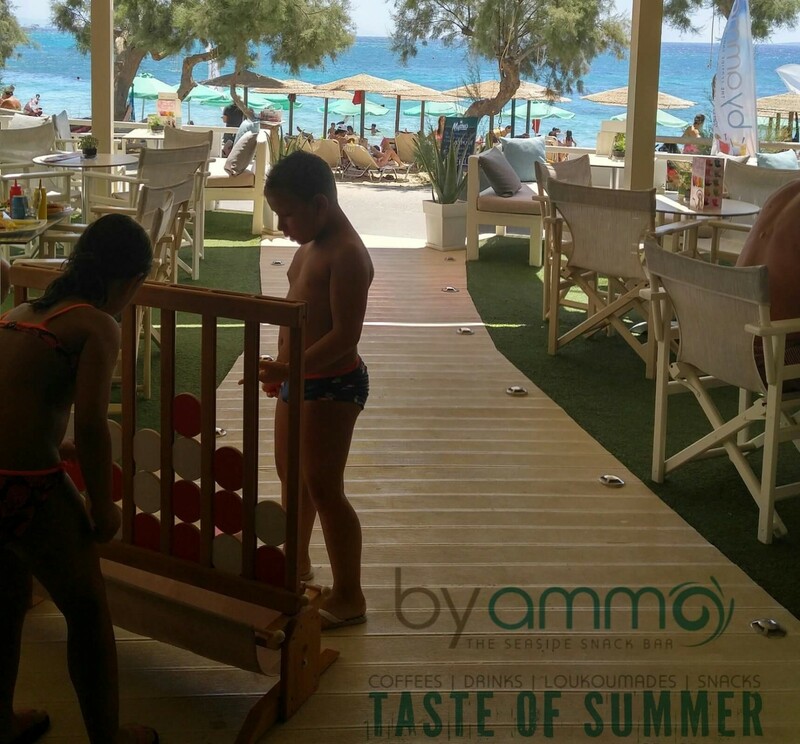 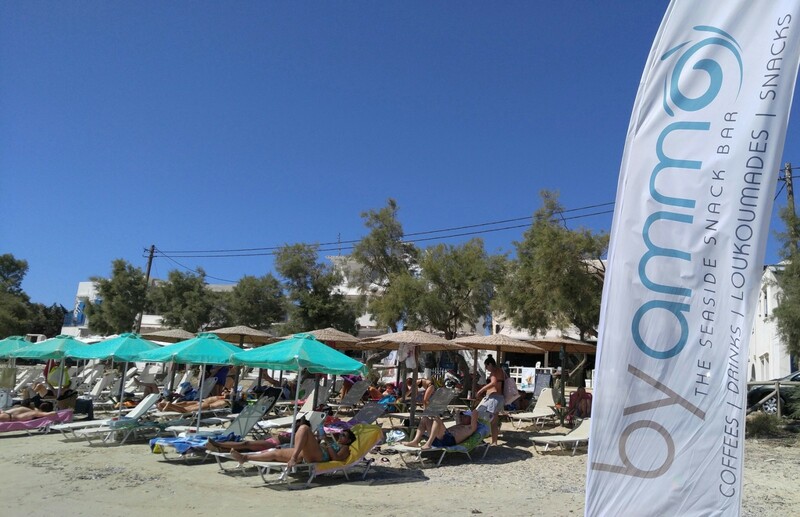 Byammo beach bar located on the beautiful beach of Agia Anna about 5km from Naxos town, offering unforgettable summer moments of relaxation and enjoyment. 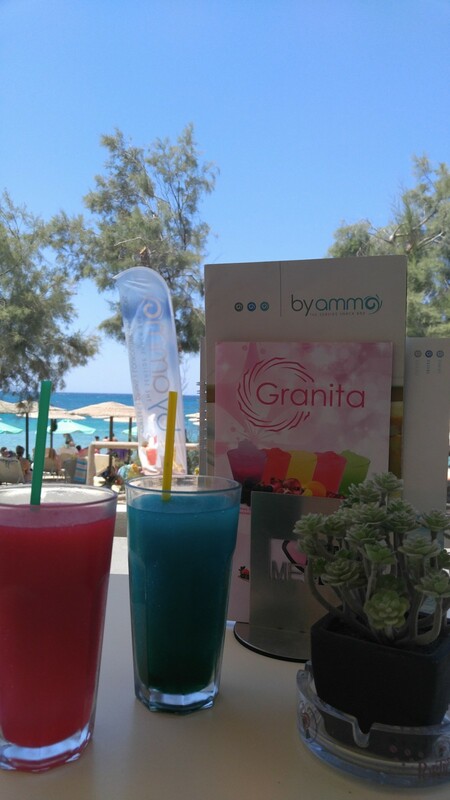 Swim in the blue waters and relax on our sunbeds early in the morning! 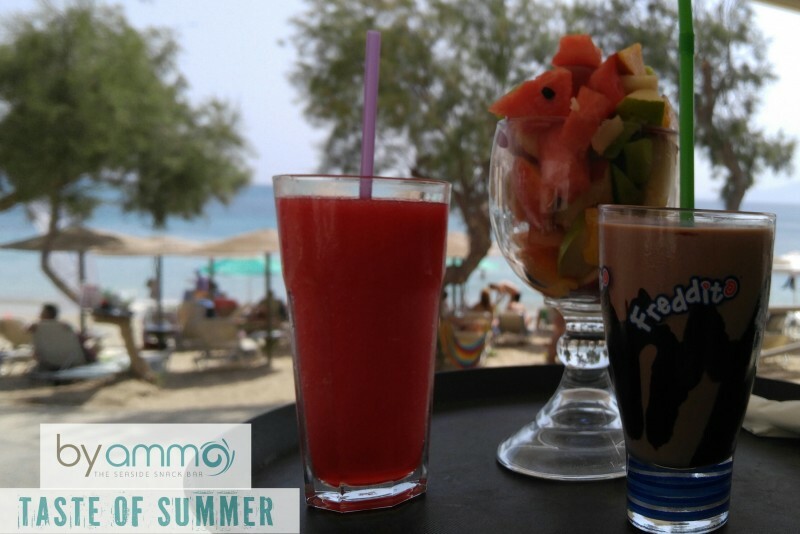 In a heavenly environment that benefits from our friendliness and service, rich breakfasts and fresh juices are the most perfect start to your day. 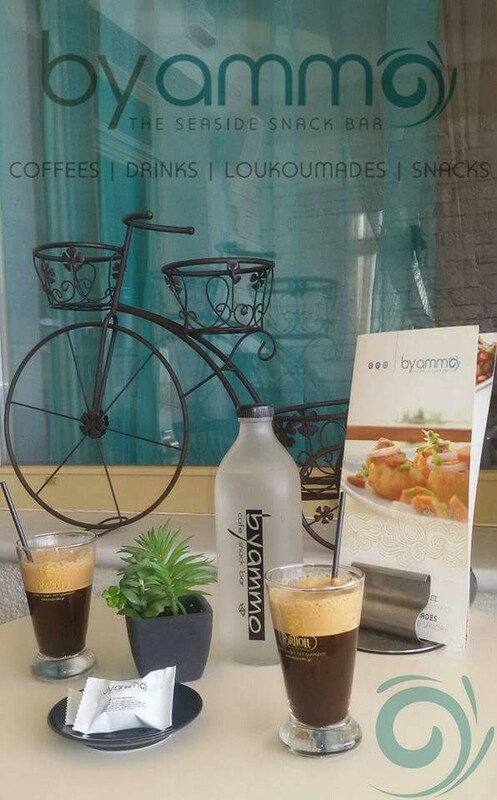 In byammo, you can enjoy the aroma, taste and quality of freshly brewed coffee, satisfying the most demanding character daily. 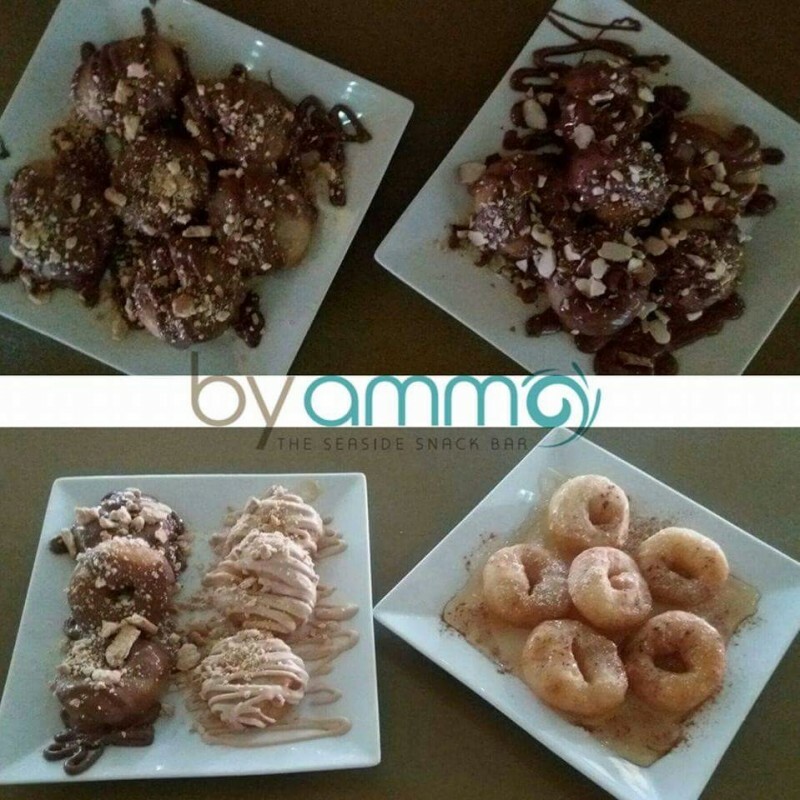 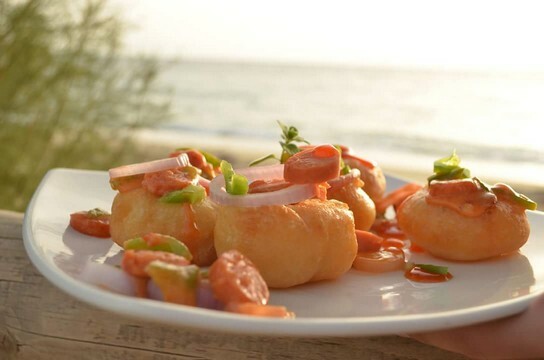 A multitude of delicious meals, wonderful frozen drinks and our separate loukoumades (traditional Greek recipe) in sweet and savory combinations will amaze you! 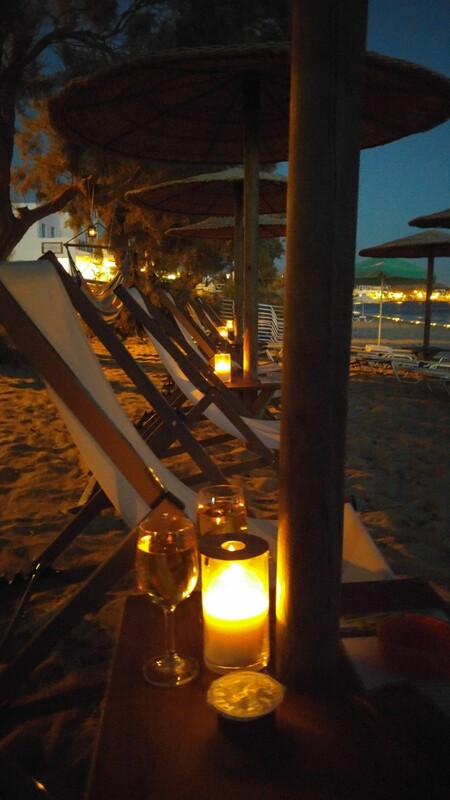 Cool cocktails and your favorite drinks, you travel to magical sunset and unforgettable dreamy evenings accompanied by lounge music. 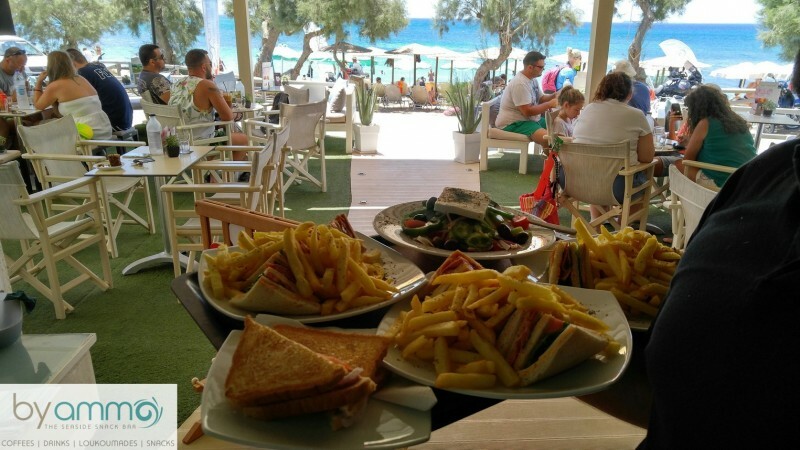 In the winter, open every Saturday and Sunday. 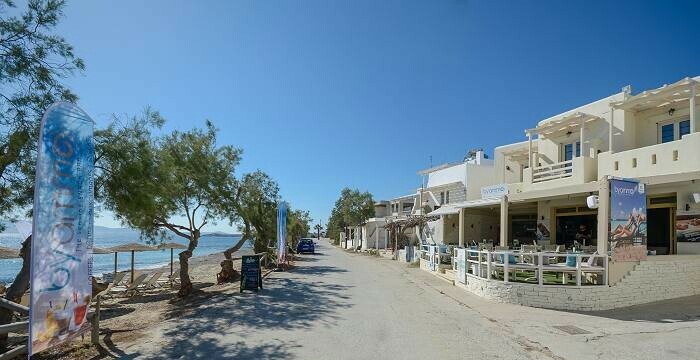 Supplied wifi internet and parking.